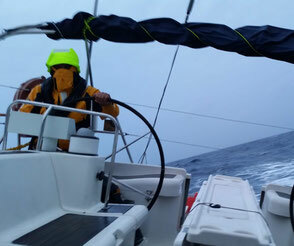 This is an ambitious milestone within your sailing 'career'. The course does not follow a pre-defined syllabus, and it is more of a specific and practical preparation to the exam. This is conducted by an external examiner and lasts 6-8 hours. Included: 6 days tuition onboard a modern yacht, RYA Yachtmaster Handbook. Linens, Marina fees at home port. During the course we will exercise all key manoeuvres to bring you to the required level. Man over Board under engine and sail, anchoring, navigation, blind navigation. Harbour pilotage at night, reefing under way and of course mooring are some of the areas we will focus on. At the end of the week you will have refreshed and practised your skills and feel confident to sustain the exam. All of this whilst spending the week aboard a comfortable yacht, visiting many beautiful bays and harbours in Croatia. With a maximum of 5 students per course, your instructors can devote plenty of time to your needs and focus the program to the areas you need most. Safety is paramount in all RYA courses, so we will also spend plenty of time to ensure that the boat is properly prepared, and you know how to operate flares, lifejackets, safety harnesses, liferafts, etc. Scroll down below to see the full course syllabus. This preparation course is then followed by a two-days practical exam, to be booked separately, to obtain the RYA Yachtmaster Offshore Certificate of Competence. The RYA Yachtmaster Offshore Certificate of Competence can be then 'commercially endorsed' to enable the holder to work onboard british flagged yachts. Please select your course dates here below!!! The Yachtmaster Offshore preparation course does not have a pre-defined syllabus. Candidates may be given the opportunity to demonstrate knowledge of competence in the areas listed below. In each section the examiner will expect to see the candidate take full responsibility for the management of the yacht and crew.